Brothers Sam and Dean Winchester fight evil supernatural beings, their journey is thrilling, yet terrifying! What is even more thrilling? The hit Television Series Supernatural is now the latest addition to Mopeez! 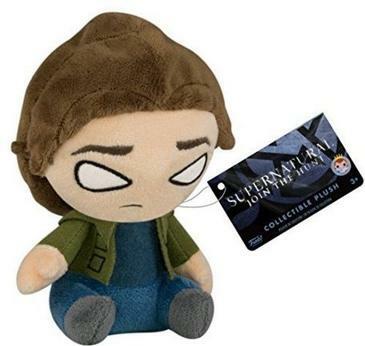 Add Sam Winchester to your collection! Mopeez are 4.5 plush figures that are weighted on the bottom to retain a slouchy posture and adorable frustration.